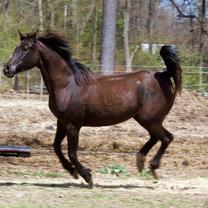 Efforts being made to save Rare American Arabian Horses. 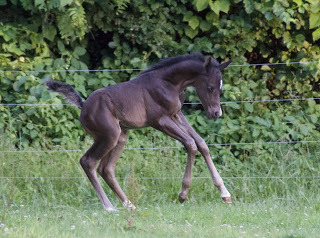 Nestled in a small community near Gettysburg is a farm you could easily drive by without noticing, yet four of the five rarest horses in America call it home. And they are in desperate need of help. Imagine The Black Stallion is dying off. 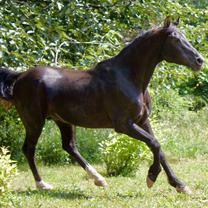 Well that is what is happening as Rafi is the last stallion of his kind; a rare breed of Black American Arabian horse. In 2002, he was named one of the Top Twenty Juvenile Sires In The World, now his owner just wants to make certain he isn’t the last of his kind. Right now Rafi is not completely alone. Three mares also live on the East West Equestrian Arts farm. One is a senior female (Jalisa) who is still recovering illnesses and two who are in their prime (Bahi and Niya). In fact, Bahi gave birth in June of this year to Nasr. Right now mother and son need special feed vitamins to survive the winter and spring safely. 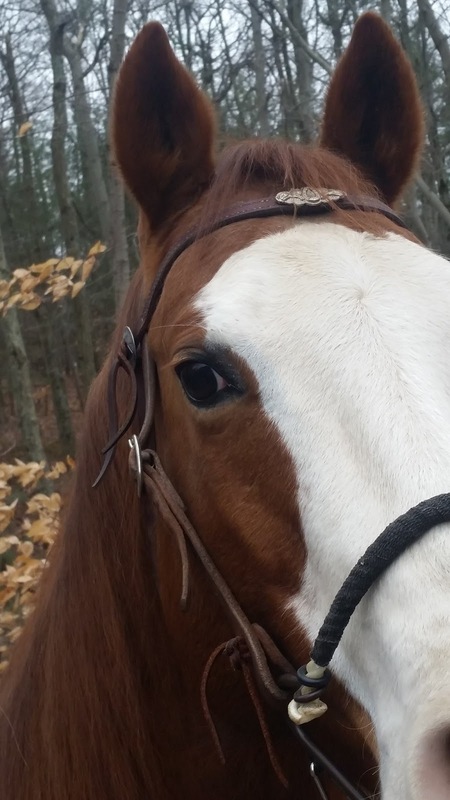 Three reasons why is it important to save these horses? First, these horses are what is known as Early American Foundation Arabians (horses imported into the USA before 1944). There are fewer than 1000 or these in the USA. The breed might be known as “Arabian” but these horses are true Americans who deserve to be saved. Secondly, Rafi and his mares may be four of the last five of this type of Arabian horse in the world Technically known as Jilfan Sitam al Bulad, they trace their ancestry on their mother’s side all the way back to Syria. Contact with the Jilfan Sitam clan was lost after the fall 2016 bombings. But finally, these are Malabar Arabians which is actually really rare. Not just about color, Black Arabians also have strong bodies, above-average intelligence, and strong empathy for humans. Fewer than 200 Malabars exist today. These are throwbacks to the original “live in your tent” Arabians from history. All of these make saving these rare rare animals urgently necessary. Their three unique traits are at risk of vanishing and taking their rare DNA with them. Someday, that unique DNA could be the key to solving a horse disease. Or bringing back a valuable genetic trait. Carrie Eastman, owner of East West Equestrian Arts, is tirelessly working to save these amazing animals. I have a 13 year old half malabar half polish black mare. 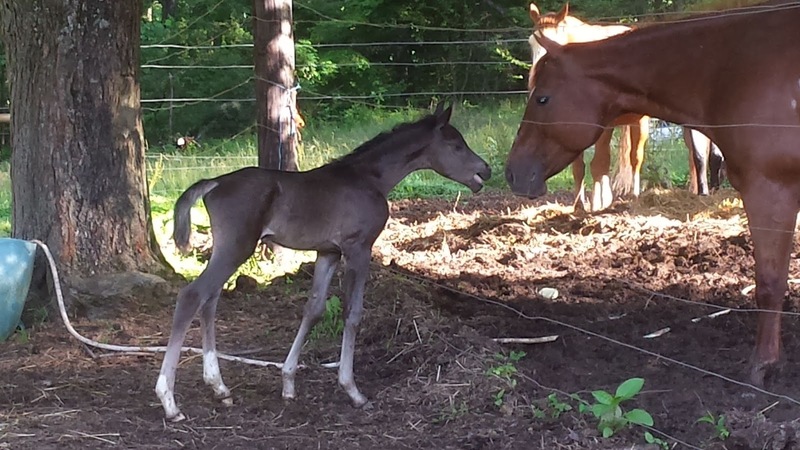 She had her first Oldenburg Arab cross black colt this spring. I worked at Arabian addiction horses as a trainer for a year as payment for my mare in the late 2000s. It was a malabar preservation farm that stood malabar denmark and jamboree tuxedo. I don't know what happened to it. 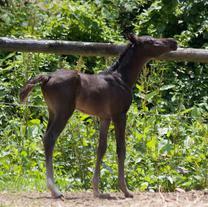 But they had a ton of full malabar foals so there are some out their still. It was located in the des Moines Iowa area. . I've had my mare since she was a long yearling and I am now in Florida. I wish you luck because I do like these horses. Thank you so much for your well wishes! And I have seen your mare on Facebook…gorgeous!